Only one good thing has come out of the distinct lack of summer we are experiencing; rhubarb is lingering. It’s been fooled into a false sense of spring security. And has caused me to go rhubarb baking mad. 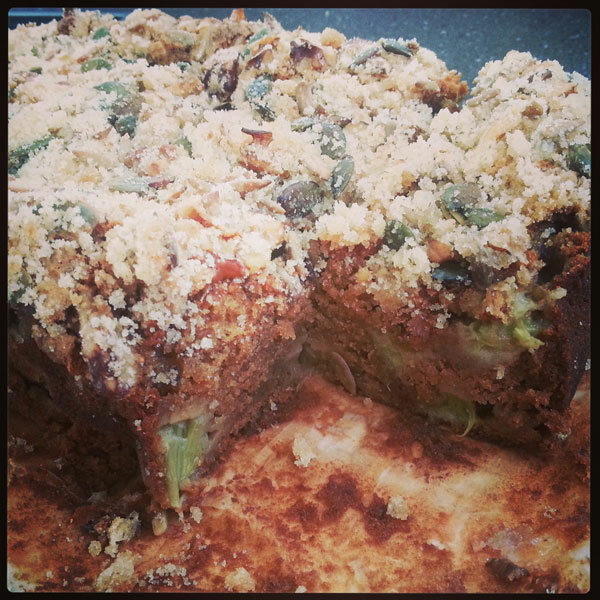 I have been experimenting a little with some recipes and this one is definitely a winner. Very easy to make, this cake is packed with tart rhubarb goodness. Made with sour cream, it has a fresh tang and a spongy texture. 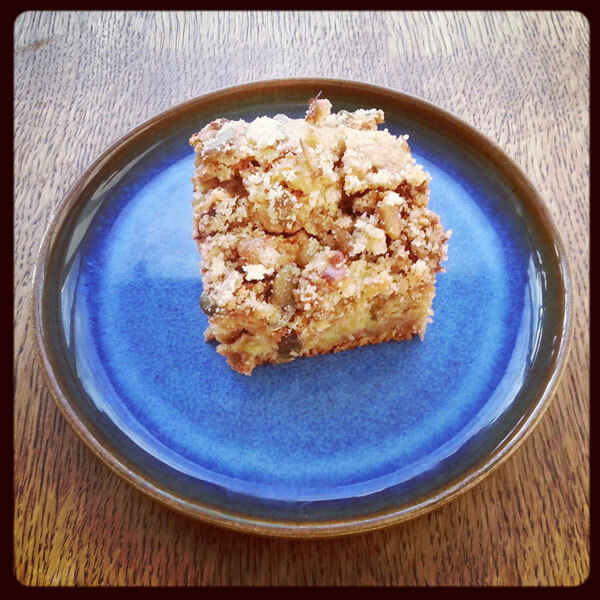 The nutty crumble top gives a delicious sugary crunch. Grab some pretty pink stalks whilst they are flourishing and bake this beauty today. Preheat the oven to 180C/gas. Line a 33 x 23 x 5cm baking tin with non-stick baking parchment. Melt about 15g of the butter and stir into the caster sugar, nuts and cinnamon in a bowl. Set aside. Pour the rhubarb mixture into the prepared tin and sprinkle with the sugar and nut topping. Bake for 30-35 minutes or until a skewer inserted in the centre comes out clean.